Let’s talk about the Knight bus today and the changes in travel that it would mean for the people of London, and let’s suppose, the world. First of all, the name, the Knight Bus. Where did it come from? 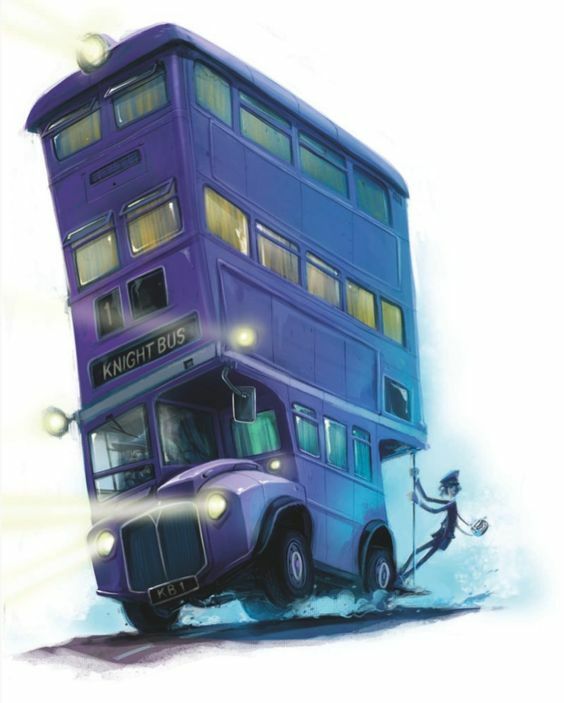 We can all be called upon to think of knights in shining armour to come to our rescue, and the Knight Bus is to be a play on that – rescuing any wizard or witch who might need it. It is there to be of service to those magical beings who can’t travel by other faster magical means (apparition, port keys, etc.) Mainly those who are underage, ill or squibs. It is a triple-decker bus and is bright purple. The muggles can’t see it because, according to Stan Shunpike in The Prisoner of Azkaban, muggles don’t hear or notice anything. 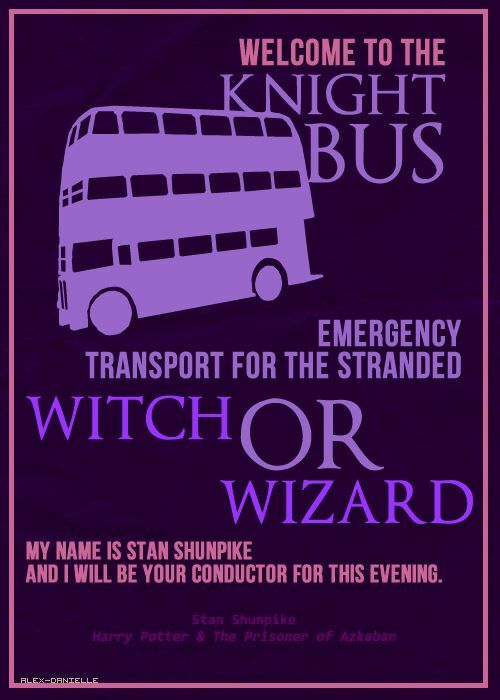 Harry uses the night bus on several occasions, and Stan even uses his memory of Harry’s travels to seek fandom in the press. “The Knight Bus was so-named because, firstly, knight is a homonym of night, and there are night buses running all over Britain after normal transport stops. Secondly, ‘knight’ has the connotation of coming to the rescue, of protection, and this seemed appropriate for a vehicle that is often the conveyance of last resort. The only problem that I link with the Knight Bus is that it can’t go underwater. It can travel anywhere on land which is pretty awesome. Harry, Ron, and Hermione use the bus with Aurors to Hogwarts after the Christmas attack on Arthur Weasley so it will take people all the way from London up to Scotland. Hagrid used it when travelling with Buckbeak to his hearing at the Ministry of Magic as well. Hahaha. Sounds like a great plan to me! I loved Dre Head on the Knight Bus in PoA movie! Me too!! Maybe during the day when the beds aren’t in it?